Left Hook Entertainment’s Sprawl N Brawl made it’s way back to The Meadow Event Park, in Doswell, VA on Saturday, August 15th. This was the 4th installment of S n B and the second straight show held in the shadows of Kings Dominion. LHE’s previous event, Sprawl N Brawl 3 left a shadow that would be hard to eclipse. Held in late May, S n B 3 had a 13-fight card, at least three fight of the night candidates and some spectacular finishes, not to mention their upgraded new home. Fast-forward to August and the venue remained the same, there were three fewer fights but S n B 4 still managed to pack in a couple of good wars and some highlight reel finishes. With all of the changes to the card that always occur, especially on the amateur level, LHE CEO and S n B Matchmaker, Craig Yerkey, did a good job of maintaining the majority of his core fights, which included three title fights. In all, MMA in VA was aware of 11 fights that got cancelled or switched. That’s a lot for any promotion to endure. Where Sprawl N Brawl 4 lacked, in comparison to it’s prior event, was not as much around the fights themselves, but more so around the auxiliary aspects of the show, such as atmosphere, flow and organization. Profanity laced walkout songs and profanity laced in-cage entertainment didn’t lend to a very family friendly environment. There also just seemed to be a complete breakdown in organization whether it was with the intermission schedule or the in-cage presentations or even the flow of the fighters once they exited the cage. Many times a fighter and his or her fans would stop just a few feet outside of the cage and impede the path of the next fighter trying to walk out and get checked in for their fight. The good news is that these items can be easily fixed, should the desire to do so exist. That concludes this public service message, so on to the fights. The night got started quickly and violently as Jason Harris needed just under three minutes to sink in a rear-naked choke finish on Davonte Buchanan, in the opening bout of the night. Fortunately, the post-fight camaraderie was much better for Buchanan than in his last fight at S n B that saw his opponent, Ali Alaskar, submit him and then stand up and throw his mouthpiece at him and yell obscenities. Harris was much more gracious in victory than Alaskar was. MMA Institute had a debuting fighter, in Matt Messina, taking on a veteran LHE fighter in Avron Williams. Williams, a talented striker met his match in Messina. Messina was not intimidated by Williams at all and was happy to stand in the pocket and trade with the RVA MMA fighter. Messina captured the first round on the unofficial MMA in VA scorecard, but seemed to tire in the second as the adrenaline of being in his first fight faded and the pace he kept in the first round took it’s toll. Round 2 went to Williams. However, with both fighters noticeably fatigued going into round 3, both just let the gloves fly and in a furious exchange of punches, Messina caught Williams with a shot, at the 34-second mark, that shut the lights out immediately. This was not the only vicious knockout of the night as Brian Rogers and Nathan Boyer left their opponents in their wake, with Rogers scoring a KO in the 2nd and Boyer needing only 24 seconds to score a TKO victory over his opponent. In between those two impressive knockouts came the first candidate for fight of the night, as Superior MMA’s Jose Davila, with a leprechaun (Roger Carroll) in his corner, took on MMA Institute’s Jake Lemacks. Lemacks, only in his second fight gave up a huge experience advantage to Davila, who came in having competed in the cage 7 times. These Flyweights showed great technique in this back and forth battle. Davila potentially stole the first round on the scorecards with a huge flurry in the last 10 seconds of the round. Lemacks, who experienced success with his grappling, in the first, went back to that and secured the second round. With the fight even on the MMA in VA scorecard, Lemacks once again held the grappling advantage and sunk in a rear-naked choke, halfway through the third and final round. Our second fight of the night candidate was the fight pitting debuting fighter, Quiana Keel against Sprawl N Brawl sensation, Tara Graff, who decimated her opponent in 44 seconds, at Sprawl N Brawl 3. Keel, showing no fear of “The Tiny Terror” used her clinch game and ground game to take the first two rounds on the MMA in VA scorecard. The Graff corner was not happy about an apparent lull in action, on the ground, in the second round that saw Keel laying on their fighter, in a situation they felt should have been stood up. With that in mind, Graff’s corner implored her to avoid the clinch at all costs and let her hands go. Keel was ready for that, as whenever Graff would land a punch, Keel would counter right back, but Graff did enough to take the 3rd round, on our scorecard. In the end, the judges saw the fight for Keel, 30-27, 29-28, and 29-28, via unanimous decision, in a very competitive and close fight. The next three fights were apparently some sort of submission contest that the fighters had in the back to see who could finish their opponent quicker. Jacob Adee, out of Superior MMA submitted Daniel Powell in 1:08, in a fight that Adee took on extremely short notice. Ronell White came out to defend his Flyweight title, against a fighter in Josh Smith whom had never been finished previously and submitted him with a rear-naked choke at 1:22. Then it was Scott Ingram’s turn, as he and Hakim Bey would battle it out for the vacant LHE Bantamweight title. In a match that was supposed to occur at Sprawl N Brawl 3, Ingram took out all the frustration he had after Bey pulled out of the that fight and used that to submit Bey at 1:34, while securing the belt. One fight that did occur at Sprawl N Brawl 3 and won our Fight of the Night was being run back again. Slap Happy MMA’s Nekah Dmitriyeva, who bested Chelsea McCoy and won the Women’s Flyweight belt in their last meeting, gave McCoy a rematch. Dmitriyeva, a Wyoming resident, failed to make weight in their first matchup and unfortunately did the same in this matchup, incensing McCoy who even took to Facebook to voice her displeasure with her opponent’s repeat performance. The first meeting between these two went into the third round, in a fight that saw Dmitriyeva walk through huge amounts of punishment on her way to gutting out a third round submission. As the fans buckled themselves into their seats, in preparation for another 3 round war, referee Shaun Spath gave the go ahead and they were off to do battle. Nekah came forward, in an attempt to start the fight off by pushing the pace and setting cage dominance and wound up for a looping right hand. Chelsea, at the same instant, connected with a short right that dropped Dmitriyeva. McCoy pounced and Spath ran in, as if to stop the fight due to the flash knockdown, but restrained himself, as he must have seen that Dmitriyeva was not out. While on top, McCoy delivered what appeared to be six or seven hammer fists and unanswered punches. Those unanswered strikes, coupled with the flash knockdown was enough for Shaun Spath as he jumped in and waived the fight off. Dmitriyeva, appearing to be working off muscle memory and instinct was trying to grapple with Spath, thinking he was Chelsea, after the fight had been waived off at the 9-second mark. The Dmitriyeva corner immediately protested the stoppage with Spath, stating that Dmitriyeva was not out and was still fighting. With the victory, McCoy won her second MMA fight and her first title belt, as she is the new Left Hook Entertainment Women’s Flyweight Champion. The next Sprawl N Brawl will be November 21st, 2015. 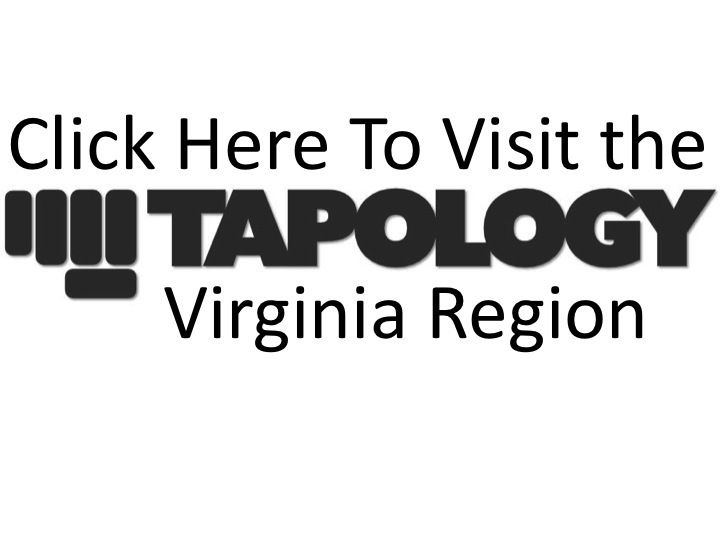 For complete Sprawl N Brawl 4 results, go to the Tapology.com event page.